It’s April, so you might be starting to think about switching your heating off for the spring and summer – but you never know when you can be surprised by cold weather, as the recent “Beast from the East” (and its smaller successor a couple of weeks later) showed. Boilers are one of the most important appliances in the home, so it’s important to ensure they’re working properly all year round rather than waiting for cold weather to discover there’s a problem. 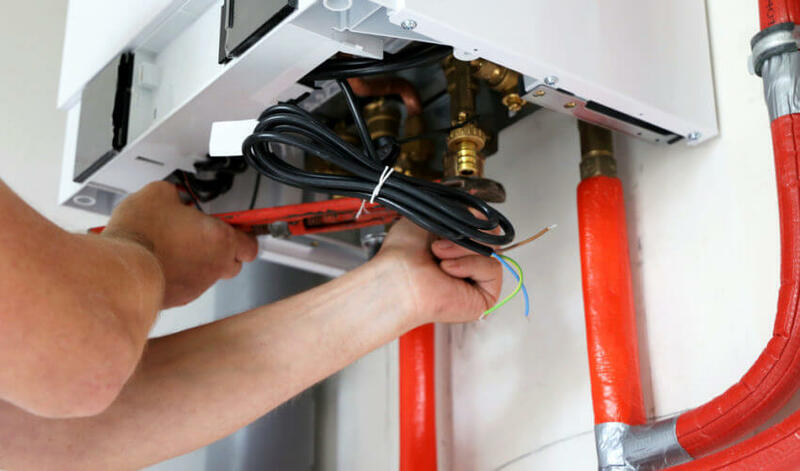 While some issues are unavoidable, there are actions you can take during the warmer months to prepare your boiler for the winter. Here’s how you can spring-clean your boiler and ensure you’re prepared for extreme weather the next time it happens. Boilers are usually tucked away in a cupboard, so it’s easy to overlook them, but it’s important to check them from time to time to see whether they have any soot marks/cracks or if they’re making any unusual/loud noises. If you notice any of these warning signs, read the user manual to see if there’s any action you can take; most boiler manufacturers provide troubleshooting information with tips and instructions on what to do for common problems. If you can’t find what to do or you’d prefer to get professional advice, contact a heating engineer. Your boiler is just one (albeit very important) part of your central heating system, so it’s a good idea to check your pipes and radiators as well. A recent survey by the Met Office found that three in four families were unsure whether their pipes were insulated – which they should be in order to prevent the water inside from freezing and expanding in cold weather, causing pipes to crack or even burst and flood your home. Pipe insulation is inexpensive and available from most DIY shops. Radiators should heat up quickly once the heating is switched on but if they don’t, try bleeding them to release any trapped air. You can also get them power flushed to clean out any blockages. According to the Met Office, two thirds of people had never had their boiler serviced – but regular servicing is needed to ensure that your boiler is safe, runs efficiently and won’t break down when you need it most. Spring is a great time to service your boiler after the winter, when it will have been working its hardest to heat your home. A heating engineer will thoroughly inspect your boiler, identify any issues and carry out a safety check before advising you of any action you need to take. For advice on how to keep your boiler working efficiently, boiler servicing or getting a new boiler installed, please contact us and see how we can help you. All new boilers we install comply with the new Boiler Plus regulations which came into effect earlier this month.